There are a few theories floating around on why more people than ever are suffering from food allergies. The first is that over the past couple of decades our understanding of what allergies are has improved. Consequently the number of treatments for them has grown. This means less people die from severe reactions and therefore reproduce to pass their allergies down the genetic line. There's also the fact that we eat more processed food with more ‘additives' and chemicals (pesticides and the like). Another theory is we import more foods from across the globe; spices, herbs, all sorts that our bodies may not necessarily be use to. 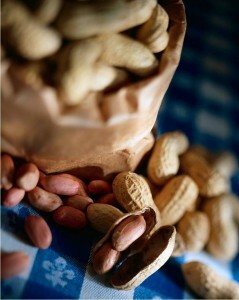 When we consume a food foreign to our bodies an allergic reaction may occur. The IgE antibodies kick into action in an attempt to fight the foreign particles, triggering a release of histamine in the body. The result could be as mild as a rash or a bloated tummy to a more severe reaction like blocked airways. But as mentioned above we are becoming a little savvier on the old allergy front. A fantastic new breakfast resource for allergy sufferers is the organic pick and mix from MyMuesli. It's simple, it's online, and it's organic. Plus you can omit whatever ingredients you may be allergic to. Of course you can always create your own custom designed muesli by buying organic grains, seeds, nuts and dried fruit in bulk from the health store for cheaper but if you really don't have the time or local resources, online stores like MyMuesli make the allergy life tolerable and scrumptious.